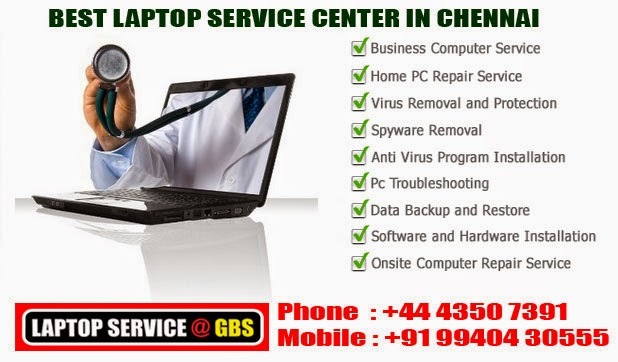 Laptop service GBS is a No:1 Laptop Service provider in Chennai. We offer fast solutions to your laptop requirements. We have specialized repair solutions for all type of laptops. We also sale the original Dell Laptop Adapters & Batterys at affordable price with warranty. 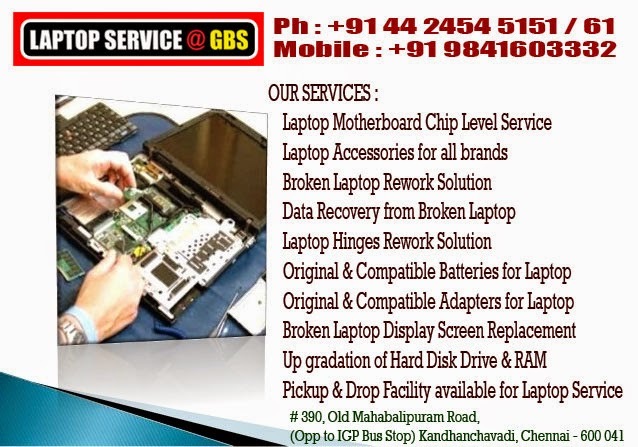 Laptop service GBS provide a service like Up gradation of Hard Disk Drive & RAM , Hard disk replacement, hard disk data recovery, RAM and ROM upgrades and also software installation, os installation service.